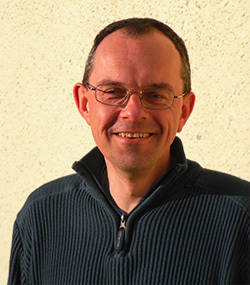 My name is Rob Butler and I currently live in Pembrokeshire, West Wales, U.K.
What could be more important than being true to yourself and yet how can you be true to yourself if you don’t know who you are? The need to be true to my inner being has shaped the journey of self-discovery that I habitually call “my” life. And yet this journey has revealed to me that, in truth, nobody really owns anything. The need to be true to “my” self led me, aged twenty something, to an overwhelming desire to be a healer. This was because since age 13 I had believed that I was destined to do something to alleviate human suffering, even if I rarely admitted as much to myself or anyone else. By the time I had trained in Reiki, become a so-called Reiki “master” and began “healing”, my enquiry into the causes of suffering and the search for my true self had only just begun. Like many people living in a world of confusion and forgetfulness, I stumbled on and managed to get by as best I could until 2010 when a new direction made itself known. This new path marked a change from looking outwards to healers and teachers to show the way, to looking within and trusting the inner being regardless of how much fear or doubt might surface in the process. In 2014 I wrote and published a book, The Light Within, which represented my best understanding at the time on a range of topics relating to spiritual practice. Putting the book out there and revealing my relative ignorance in some areas was profoundly important in learning to trust the inner guidance and served as a stepping stone to yet deeper levels of spiritual enquiry. The book is available to read for free on this website and is also available in printed format and as a Kindle eBook on Amazon, however I am no longer actively promoting it. Although the book may prove useful to some, it is not how I would now choose to present guidance on spiritual enquiry. Self-discovery is a journey and as we progress our perspectives change. Now more than ever before I feel the need to let go of outdated expressions and definitions. We are living at a time of great importance for our species and for all the other beings who share this planet with us and whose lives we affect by the choices we make. The human-created world is in a state of crisis and yet the inner world, of awareness, energy and spirit, has entered a phase of immense opportunity and possibility. The potential is now greater than ever before for human consciousness to evolve although it does require that we shift our awareness from the outer human-created forms to the inner realms from which everything visible springs forth. 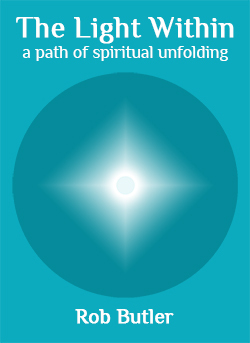 Since the publication of The Light Within I have been working on a new book which will be published soon. If you would like to be notified when I publish new work, please contact me. This website is dedicated to the light within you which is your True Self. 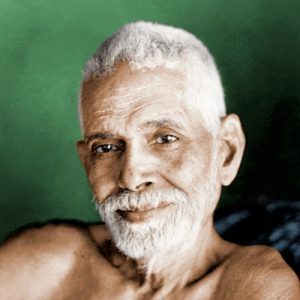 There is a particular focus on self-enquiry as taught by the Indian sage Ramana Maharshi who advocated a very simple approach to spiritual practice. Instead of seeking to satisfy or transcend the countless impulses which arise within the mind, we are encouraged to seek the source of the “I” to whom these impulses arise. In so doing we can realise that the indiviudal “I” or person does not really exist and that all that exists is One Being. Advaita Vedanta or non-duality, as taught by Ramana Maharshi and others, states that All is One and that all apparent separation and difference is merely temporary and illusory. In non-duality there is no world which is separate from you and there are no “other people”. All is a projection of the One True Self which is ever-present and never changing. This One True Self is The Light Within us all.